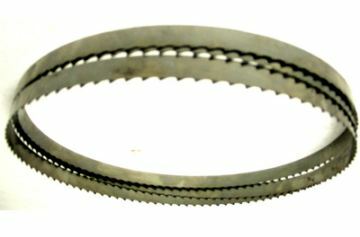 Scalloped edge band saw blade measures 91 Inch x 5/8 x .022. This band saw blade is suitable for cutting boneless meat, poultry, fish, vegetables, fruit, and bread. Fits Biro band saw model 22, Globe Stimson band saw model 111, and other butcher's band saws.